Where would the aerospace industry be without plastics? Flight would be much more expensive, for one thing, and more limited for another. The combined properties of plastics make them uniquely suited to aerospace applications, which is why the use of plastic parts in aerospace design has quadrupled in the last 45 years. Plastics offer a number of advantages over the metal alloys that were used in the manufacture of many aerospace components prior to World War II. Plastics are much lighter in weight than comparable metals, allowing for more dynamic design and lighter-weight aircraft parts, which in turn generates enormous fuel savings. The advantage of weight to strength ratio can translate to as much as one seventh the weight for equal strength of metal or half as much of aluminum. They can also provide corrosion resistance for harsh environments in aircraft applications as well as relativity high thermal and mechanically stability. Clear plastics also offer several advantages over glass in aircraft applications. Transparent plastic parts are both lighter in weight and offer greater impact-resistance than their glass counterparts, a key safety factor. 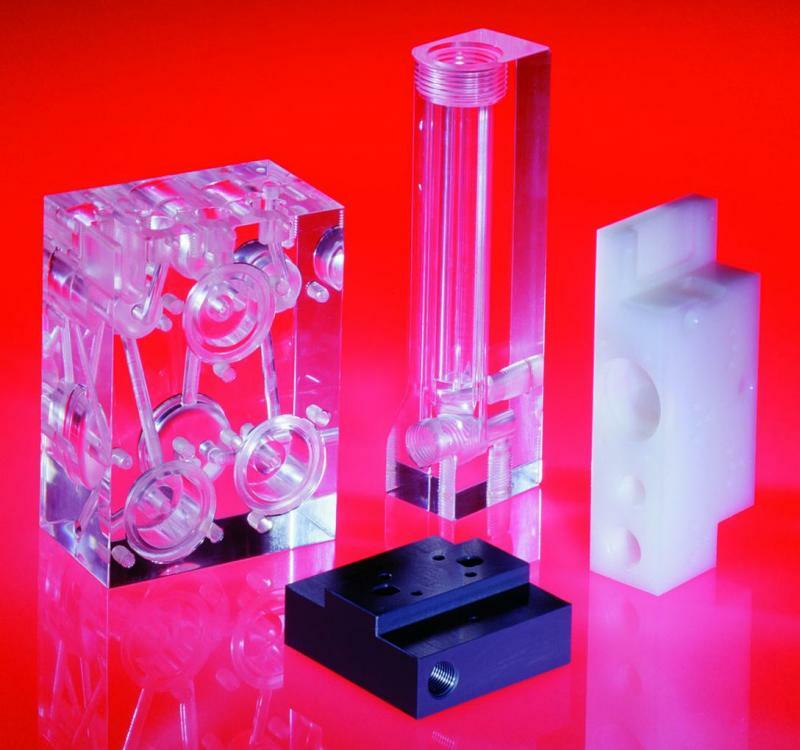 Clear plastics can also be fabricated by several methods and be developed into strong, clear but complex designs. There are numerous aircraft applications for bearings and shafts that require high degree of surface lubricity but are difficult to lubricate due to their location. New high tech self-lubricating plastics are the answer in many cases and provide long life with minimal maintenance. Furthermore, plastics offer tremendous flexibility in design. And today, engineers have a wide range of high-performance plastic thermoplastic and composites to choose from, to best meet the requirements of any particular application. Finally, plastic parts are generally economical to manufacture, assuming you choose the optimum methods from the wide spectrum of manufacturing methods that are available and are suited for most projects. It’s fitting that both the aerospace and plastics industries took wing at the same point in history: World War II. The advent of World War II accelerated the development of aircraft for use in battle. In 1940, President Franklin D. Roosevelt increased the annual production rate of military aircraft from 10,000 to 50,000 to support the war effort. Simultaneously, the wartime shortage of key industrial materials like metal and rubber fast-tracked the use of plastics in manufacturing, including—most fortuitously—aircraft production. Aeronautical engineers first started using vinyl materials to replace rubber components, specifically in fuel-tank linings and pilots’ boots. Plastics were then used to make the radomes that covered radar installations. Because they were virtually transparent to electromagnetic waves, were quickly found to maximize transmissions. Every success led to another, as engineers found new ways to leverage the properties of plastics. In the 1960s and 1970s, the development of high-performance plastics opened new doors. Today, aerospace plastics are heavily used in the creation of FAA-approved aftermarket parts, the quickest, most cost-effective means for aerospace manufacturers to obtain needed parts. Replacement parts make up the bulk of the market, from fuselage components to bushings, bearings, brackets and beyond. Many plastic parts manufactured for aerospace applications are machined as opposed to molded or extruded. When it comes to manufacturing replacement parts of limited quantities, as is often the case, machining is the best option for several reasons. Machining plastic allows for very high performance and precision, producing the very close tolerances that are a requirement of aerospace design. In addition, machining is typically much more affordable. Unless you’re producing a huge quantity of parts, the set-up costs of creating a mold are prohibitive. For example, an injection molding tool might cost $30,000. If you need thousands of pieces of a certain part, that cost may be acceptable, but it’s much more common in the industry to need only one hundred or less at a time. Clearly, the replacement parts must be made out of the same plastic as the original. Not that long ago, aerospace manufacturers would provide the plastics suppliers with a sample of the original part to be duplicated. Now, they turnover CAD designs from FAA approved samples, and let the plastics engineers take it from there. With so many high performance plastics available, engineers can choose the best material for any given application. Here is a rundown of some frequently-used aerospace plastics and their qualities. Delrin acetal resin bridges the gap between metals and ordinary plastics with a unique combination of creep resistance, strength, stiffness, hardness, dimensional stability and toughness. It’s resistant to solvents, fuel and abrasion, producing low wear and low friction. Its basic mechanical surface capabilities make it ideal for bearings subjected to moderate wear. Ultem is an amorphous thermoplastic polyetherimide (PEI) material that merges exceptional mechanical, thermal, and electrical properties. Ultem in its natural state is a translucent amber material. Its mechanical strength, heat resistance and corrosion resistance makes it useful for numerous aerospace applications, and it’s also easily machineable and finished. Polycarbonate is a very durable, high performance plastic material. It can easily be machined, offers high heat resistance, and is typically a top choice for optics due to its capability of emitting light. It is heavy duty, with more than 25 times more impact strength than acrylic. In addition, it is available in a clear form, which is ideal for windows, as well as a black color. PEEK, or polyether ether ketone, is a hard, stiff, strong polymer that is ideal for tough environments involving high temperatures, wet processes, and heavy loads. PEEK fuses wear, chemical, and moisture resistance with material strength and stiffness. It displays good friction and wear properties. It offers hydrolysis resistance and can be exposed for a long period of time to high-pressure water and steam without exhibiting serious degradation. Because of its high temperature resistance, it’s often the plastic of choice when process temperatures exceed what conventional plastic materials can withstand. Torlon is another plastic material that can withstand very high temperatures. In addition, Torlon offers exceptional strength, toughness and stiffness, as well as durability and impact resistance. Its heat and pressure resistance, combined with self-lubricating properties, makes it ideal for bearings. Nylon is core material often chosen for its toughness and strength. It withstands wear and is abrasion resistant. It’s also easily machinable, lightweight and cost-effective. Because of its high wear resistance, it is often used when replacing metal and rubber parts, as well as other materials. Engineers choose UHMW (Ultra-high-molecular-weight polyethylene) when making plastic components designed to improve equipment efficiency, offer wear resistance and provide noise reduction. UHMW also offers excellent performance across a broad range of temperatures, and resists both impact and abrasion. It offers a lower coefficient of friction than steel or aluminum. Teflon is a fluorocarbon that performs very well in some various applications, from high temperature and chemical environments to areas requiring high purity and inertness. Teflon is available in both “unfilled” and “filled” formulations. Teflon retains its properties across an extensive range of temperatures and under high load. In aerospace applications, it is often used for seals as well as chemical-resistant applications. Polysulfone offers high-thermal stability. Polysulfone parts will remain stable, resisting creep and deformation under continuous load and elevated temperatures. It has high tensile strength and as temperatures increase, flexural modulus remains high. Polysulfones are highly resistant to aqueous mineral acids and bases as well as oxidizing agents. They are fairly resistant to many non-polar solvents, even at elevated temperatures under moderate stress levels. 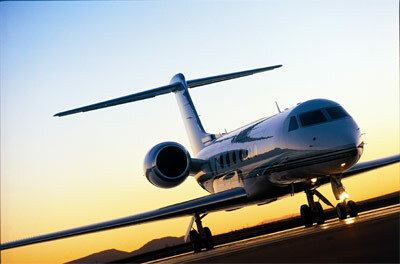 Not all plastics machining companies are equipped to supply the aerospace industry. It goes without saying: make sure any supplier you choose has expertise in the aerospace industry, as well as the machining process and specific plastics required for your application. Never use a metals machining company, no matter how experienced in aerospace, to create plastic parts. The contamination risk is too high. It’s nearly impossible to thoroughly clean machining equipment that has been used to make metal parts. If the plastic you’re using is soft, then microscopic metal fragments can become embedded in your part, degrading it over time. In addition, the oil-based cutting fluids used to manufacture metal parts can easily contaminate plastics, which are often highly sensitive to petroleum-based products. In addition, look for a plastic machining vendor that is ISO certified. ISO certification ensures that the supplier has quality control processes in place. It ensures all work processes are repeatable, reliable, and thoroughly documented. That may include using documented statistical process control procedures or owning inspection equipment or video inspection systems. Furthermore, insist on a vendor that is experienced handling Certifications of Compliance, as well as collaborating with clients to obtain FAA approval. Look for a supplier that offers ease of paperwork and knows what that entails within the aerospace industry. Finally, look for a plastics machining company that has application engineers on staff. They can assist with any necessary design specifications and provide input on how to improve the quality and performance of the parts you need. As the aerospace industry continues to evolve, so will plastics and its applications. Because of the unique combined property of plastics and the continuous development of new plastic materials, there’s every reason to believe that plastics will continue to play a key role in aerospace innovation. Alex Curtiss is President and CEO of Engineered Plastic Products Corporation (EEP) in Elk Grove Village, IL. He has more than 30 years of experience in plastics machining and is author of the Plastics Material Handbook, which has been used by hundreds of companies to compare plastic materials for critical applications. EPP is ISO Certified and specializes in producing high-precision machined plastic parts to the aerospace industry, among others. For more information about EPP and its engineering staff, visit eppcorp.com.